On MaltaToday September 18, 2013: "Malta Enterprise chief Mario Vella says Malta has huge potential in the solar energy market. 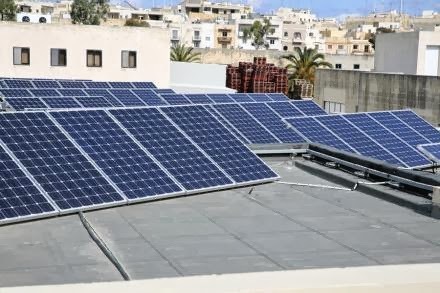 There is huge potential for Malta to become an exporter of solar energy according to the recently appointed Chairman of Malta Enterprise, Mario Vella. Vella, who was present in Dalian for the signing of the Chinese memorandum of understanding, said negotiations were underway to secure Chinese investment in projects related to alternative energy. Aside from the undisclosed cash injection into the ailing Enemalta Corporation, the Chinese MOU includes the setting up of a joint venture between Malta and China to assemble photovoltaic units for sale in the European Union and the setting up of an energy service centre which would service the Mediterranean, African and Gulf region. According to Vella, the renewable energy investment also meant that Malta would be on target to secure the 2020 emission reductions target..." read on.